300+ Certified Hotels in Makkah & Medinah. 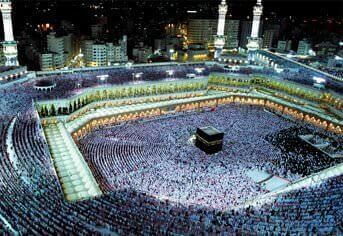 Labbaik Hajj Umrah is a travel agency based in the UK. Our goal is to serve the Muslim brothers and sisters residing in London, Manchester, Birmingham or any other city of UK, by all possible means. We obliged to have the most attractive prices for Hajj and Umrah Tours with perfect flights and Hotel deals available for you. Our expert agents will guide you with our all packages as well as they will guide you about the hotel distance, flight details, visa process and transportation details. Our main focus is to provide our customer with hassle free services so they wouldn’t face any issue when they are performing hajj or umrah. Booking with Labbaik Hajj Umrah is very simple, just pick you suitable package and we will reserve the package for you with initial deposit. Labbaik Hajj Umrah packages include Visa and hotels. If needed, Flights and Transport can be arranged at extra cost. Customizable packages are just one click away: Fill in your requirements for a package in the query form given above on this site. In addition to our Umrah Packages 2019, enjoy your stay in luxury 5 Star Hotels of Makkah and Medina. Want to gaze out at the pleasant view of Masjid e Haram? Of course, you do, and we can arrange a hotel room with windows facing the Haram for you. Low cost 3 Star packages 2019, 4 star tailored packages 2019 and 5-star luxury packages 2019 are also available. All packages are based on 4 people sharing and are subject to availability. For 2 people sharing or 3 people sharing, you have to acquire tailored packages from our travel agents. Book today in advance, Make sure not to miss the chance. Pilgrims who wish to perform Umrah must have a valid passport, at least 6 months prior to the departure. They are also required to provide a valid Meningitis certificate (ACWY). Traveling for the first time? Contact your nearest GP (General Practitioner) and ask for an appointment in order to arrange the ACWY (Meningitis) certificate for you. The child will pay half the price of the flight ticket. For more information on “How to perform Umrah?” or “What do you required for Umrah?” Visit our Umrah page. We do have group packages available depending on the seasons. In our group packages, you will get the all-inclusive package in which we will provide you flight, visa, hotels, transportation and ziyarat. Hajj is one of the five pillars of Islam. It is obligatory on every Muslim. Muslims have to travel to Makkah in order to fulfil this obligation. All the Muslims who are physically and financially able, are required to perform this obligation at least once in their lifetime. 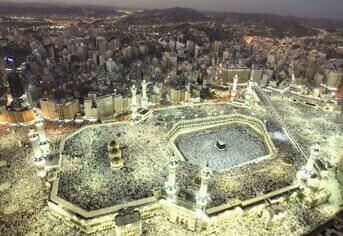 Large numbers of Muslims travel to Makkah every year to perform Hajj. The Hajj ministry’s policies change frequently. Labbaik Hajj Umrah travel agents keep a close eye on these changes and provide you with authentic guidance on Hajj or Umrah. Labbaik Hajj packages 2019 will be available soon to cater your needs. We feel privileged to be providing Hajj services for years. You can choose Shifting or non-shifting Hajj packages 2019, whichever suits your needs. We offer a variety of shifting and non-shifting packages, from 14-day package to 27-day package. For Hajj 2019 we do have the cheapest package available which is 21 days non-shifting hajj package in which we are offering 4 star hotel in Makkah and 3 star hotel in medina. Its all-inclusive package so our customers don’t need to worry about anything. No matter, how many days you are thinking of? Labbaik Hajj and Umrah gives you Simple booking process and easy payment methods. 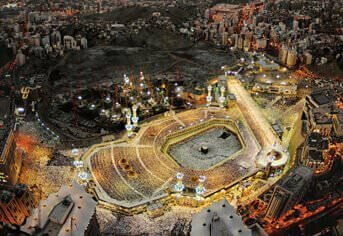 For more information on Hajj 2019, or What do you require for Hajj? Sneak into our Hajj page on this site.